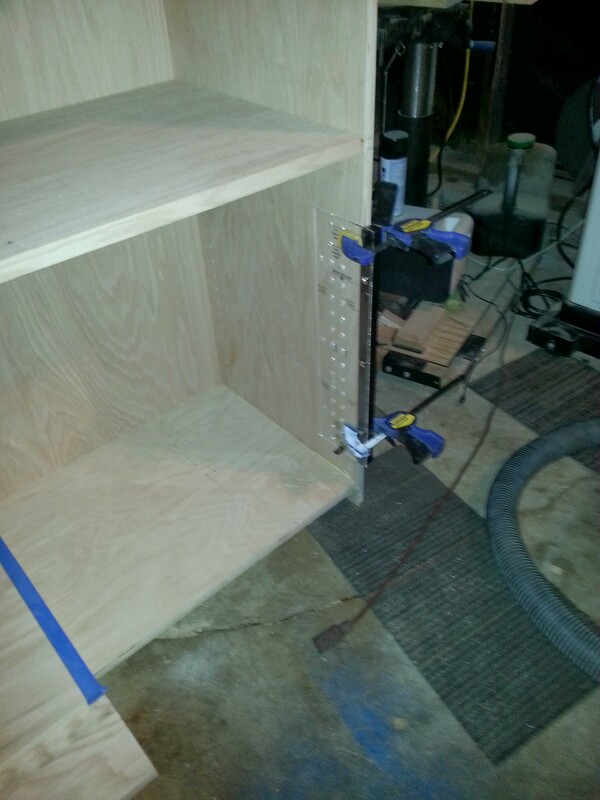 I haven’t posted lately because I have been concentrating on a pantry cabinet I have been making. I need to have it done in three days and I am not going to make it in time. So I have been spending some quality shop time but nothing else. I haven’t really had any time to post here or on Google Plus. Plus my birthday is on Saturday and I have been out to dinner twice this week! Once with my mother and the other with my wife. My bride and myself went to a movie place that you can eat dinner in your seat while you watch the movie! I thought that was rather cool. I was surprised at how economical it actually was. I thought the food would be pricey and not very tasty but it was comparable to any other beef joint around. Anyway, I have been “slaving” away and it is coming along just fine. The reason that we are not on schedule is that for some reason I had gotten a lot of orders in the exact same week I had planned to start the cabinet. 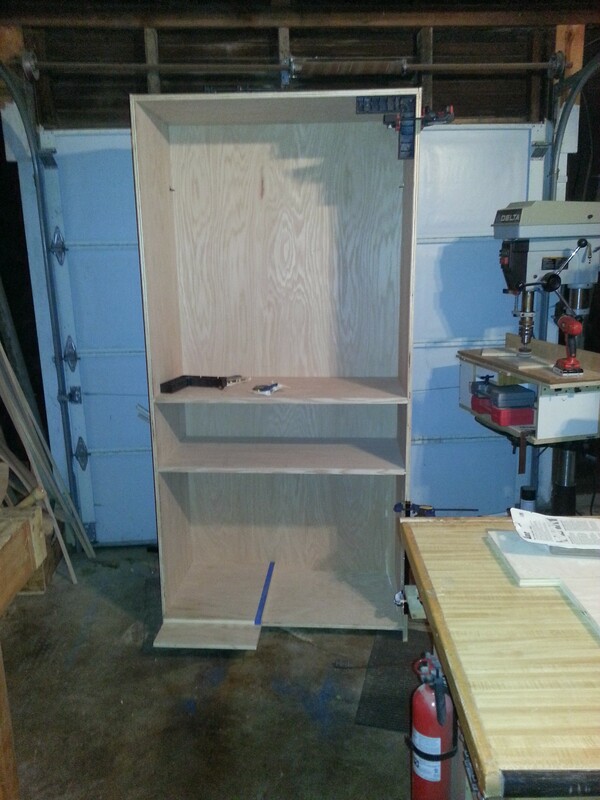 I had put off starting the project until the last minute because my shop is small and I didn’t want the cabinet in my way for a month. Everything was going according to plan when all of a sudden we got slammed with 9 different orders and a line on some barnwood. The barnwood deal required a couple hour drive each way and a few hours of talking out the details plus some time loading a few pieces to take home to see what I could do with it. That cost me a day and then a week to the other orders and all of a sudden with a few really cold days here in March, that were not anticipated, I am falling behind. Funny how your best laid plans always go asunder. Previous Previous post: New Page!